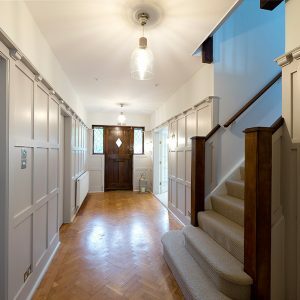 We were so pleased to work with this client again who briefed us the day they purchased this beautiful arts and crafts home bordering Wimbledon Common. 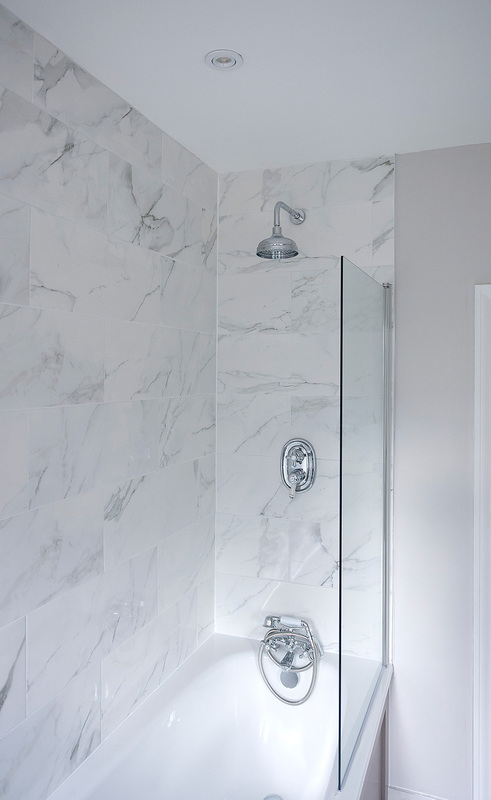 Our interior design services were employed for the complete redesign and modernization of this period property starting with updating the electrical and lighting layout to work with a more modern way of living. 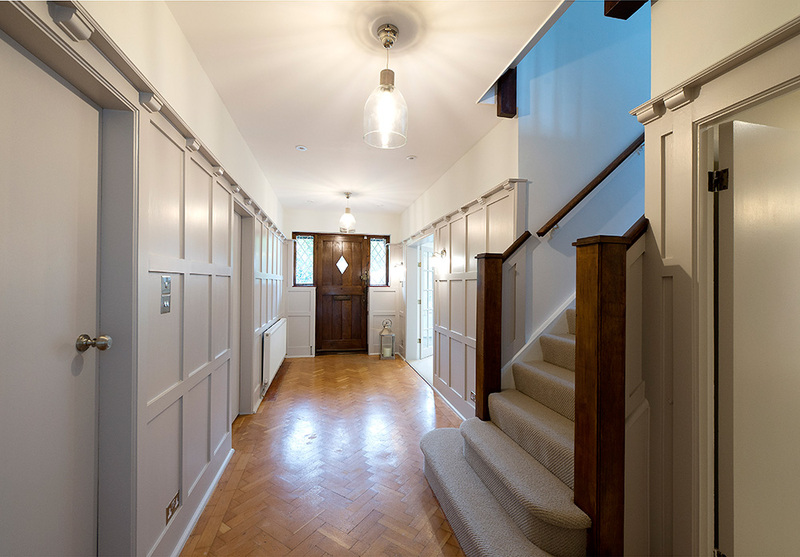 The entrance hall walls are clad in a stunning original wooden paneling which was dark and depressive in the north facing light. 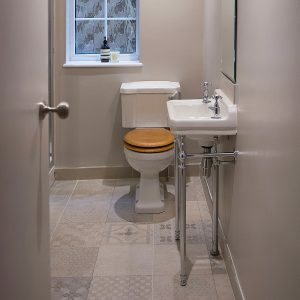 Sympathetically, we restored and painted paneling in a subtle pale grey which was then painted throughout the rest of the home in various shades to work with the available light in each room. 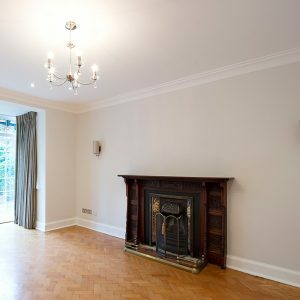 This property had been purchased for a speedy refurbishment to prepare it initially for rental with a view for the owners to eventually retire into. 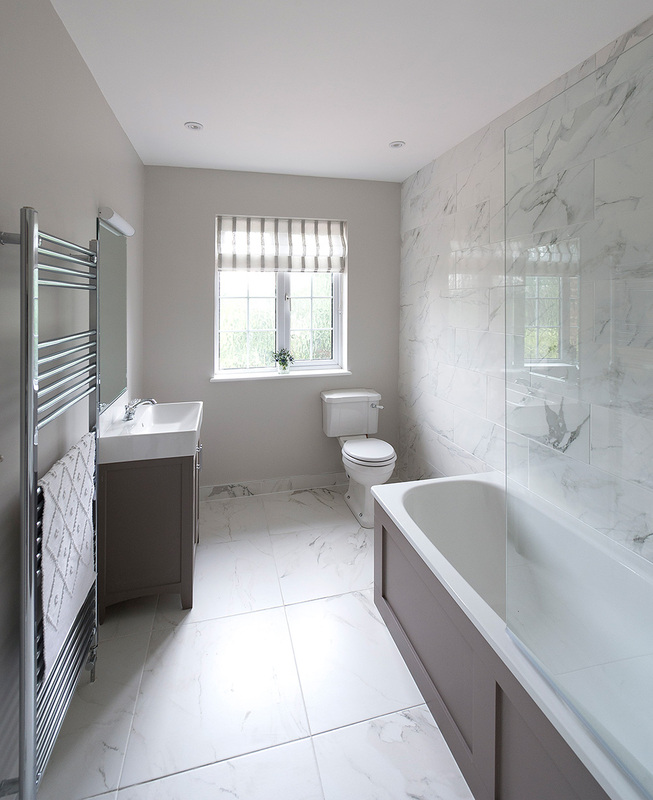 A muted Farrow and Ball colour pallet was chosen to be inviting to potential rental clients allowing it to complement their own furniture and lifestyle. 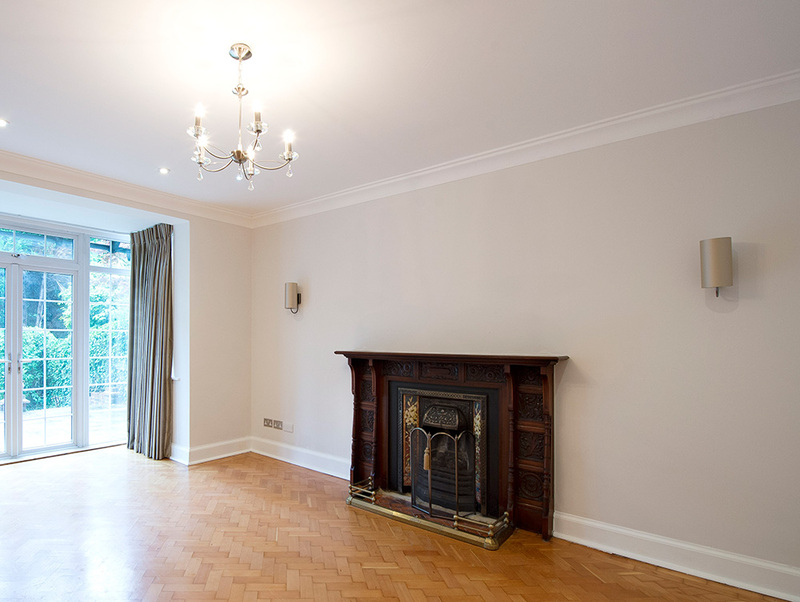 We lovingly refurbished original features such as the parquet flooring on the ground, red brick window seals and brick fireplaces so typical for this period. 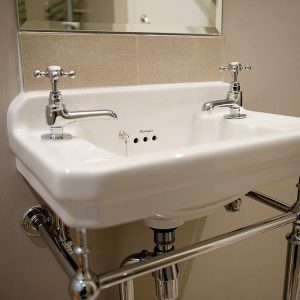 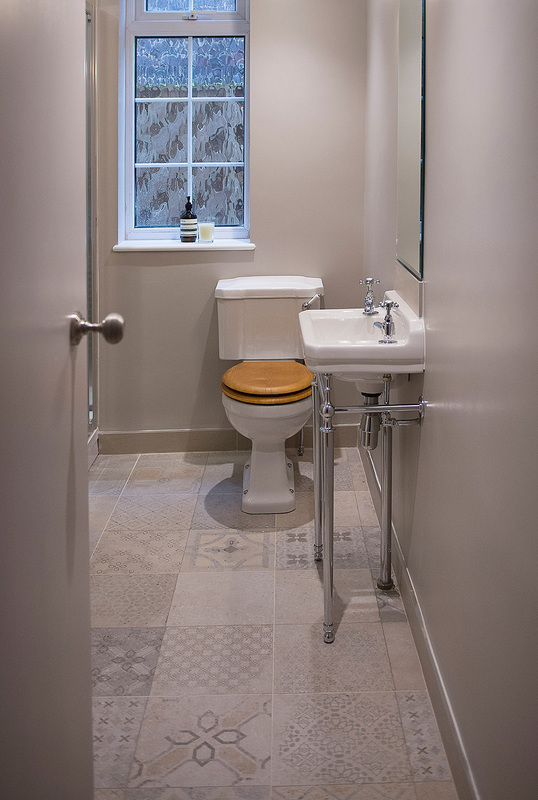 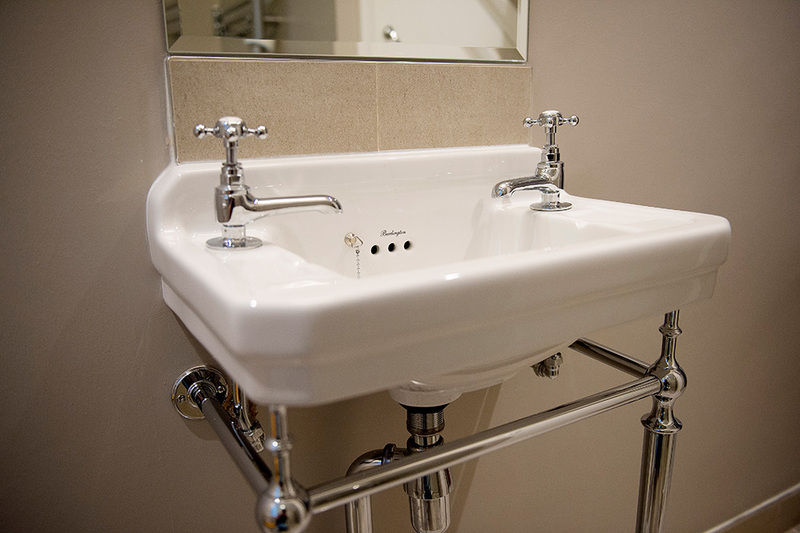 The family bathroom and WC was separate and undesirable for the high-end rental market therefore we re-planned the layout to incorporate a WC and with the use of marble tiles, traditional brassware and sheer window dressing a light and spacious bathroom was created. 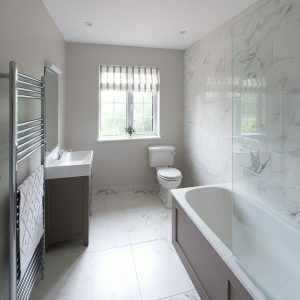 We introduced a touch of luxury into this development with nickel plated ironmongery throughout and gorgeous feature lighting and scrumptious silk window dressing to bring this home to life. 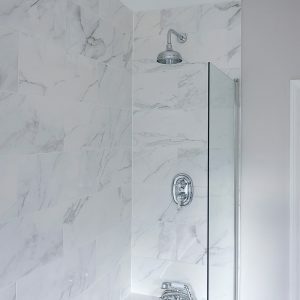 This once neglected property was redesigned to standout in a competitive rental market, maximizing the value of the home and investment of the owners.